I come from Rio de Janeiro, Brazil to be in touch with ultimate changes in the way we communicate, interact with each other and learn. I hold a BA in Social Communication with a major in Journalism and my undergraduate thesis was about on-line newsgathering and changes in journalistic production. I have a background in scientific journalism, corporate communication and web content edition and creation. Although I am still interested in how media professionals are working on-line, my objective is to research about how digital content can be created, tools can be designed and developed to expand our knowledge. I enjoy traveling, reading, concerts, movies and sharing bright ideas. The Wild Card Symposium, part of our Master Degree at the University of Amsterdam gave us the occasion to read a book as a group, discuss it and came up with a different way to introduce and present a piece of writing. 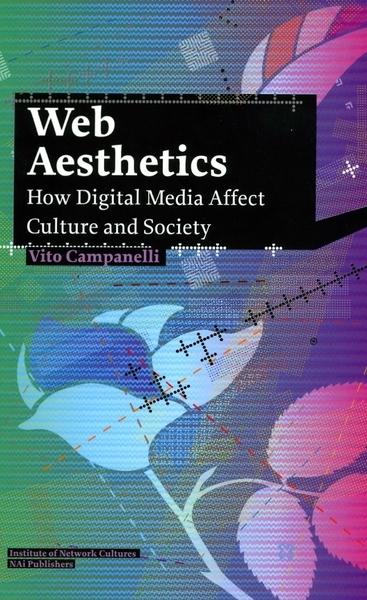 As a grou p, we decided to pick the book Web Aesthetics: How Digital Media Affect Culture and Society by Italian media theorist Vito Campanelli. The publication is a map of new media and Internet practices. It spreads a lot of different ideas, which can be a bit disconcerting at the beginning and is limited by the medium itself: there are no links, no videos or images, although there are many references to this type of content and other multimedia projects. In order to capture most important ideas, projects and artworks Campanelli refers to, we came up with a Facebook page. This was not only a way to gather interesting information and references of the book, but also to critically reflect and update some chapters, because the book was already finished in 2010. In addition, we recorded an interview with Vito Campanelli to present some ideas of the book. This gave us to opportunity to ask the author some specific things and give him the chance to directly reflect on the page about our understanding of his own ideas.